Your property is unique. 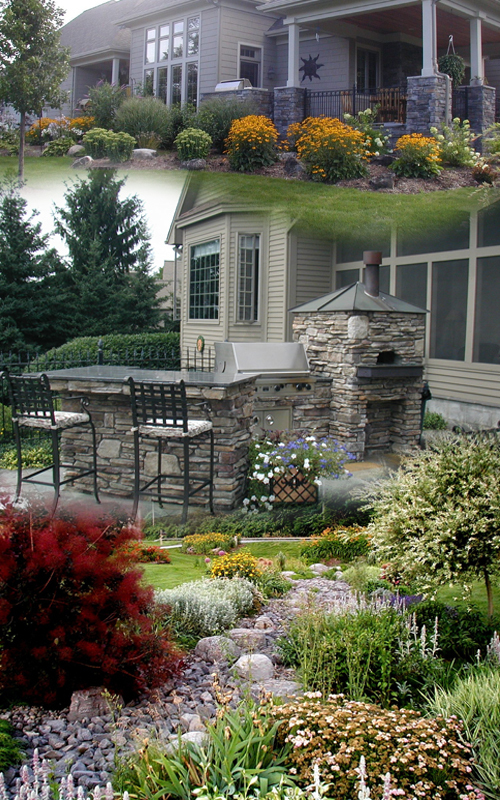 As a proud homeowner, you want your landscape design to reflect and complement this quality. Aspinall's Landscaping prides itself on the ability to bring the natural aesthetics and function of your landscape to life. Our creativity is born of the expertise we deliver to each of our customers on a daily basis. We tailor a design to your home with the distinguished surroundings it deserves. Aspinall's Landscaping skillfully addresses your special needs such as fountains, water gardens, pathways, walls and low-voltage lighting. 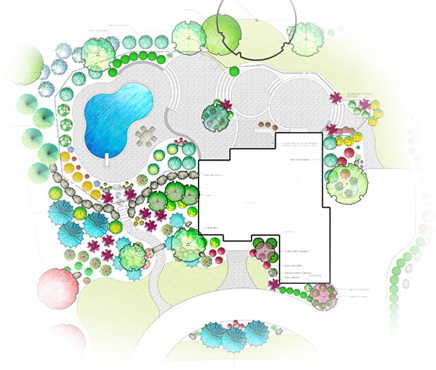 Our staff is able to handle the most unique landscaping challenges with creative and innovative solutions and with expertise and knowledge that sets the industry standard. Please visit our Hardscape page for more info on pavers, retaining walls, etc. A well manicured landscape requires consistent long-term care. Our maintenance plans are designed specifically around your property and its individual needs. We routinely evaluate your property to identity any potential problems early and we address them immediately, often before you even know about them. Our superior standard of care means communicating with you on your desires and concerns in order to ensure that your landscaping needs are met and, when possible, exceeded.